The instrument design is modern with fashion, beautiful, pedestal with small and exquisite, lamp holder, stable standing, do not take a place.after special purpose design, with led light in cooperation with a magnifying glass can clearly to check skin surface, nails, subtle change on the skin. it is one of the necessary equipment for beauty, nail salons. -Turn off the unit after usage every time, unplug the power when not in use during a long period of time. -The dust on the lens when it used for a long time, don’t use dishcloth or something wipe the lens , please use professional camera lens paper clean lens. Woods Skin Analyzer is a lamp made to examine and diagnose your skin type for proper facial treatment. This lamp has a 3x diopter magnifying lens and uses UV light to diagnose skin conditions. It is a diagnostic tool used in dermatology to observe any subsequent fluoresce of the skin. Under the Ultraviolet Lights, you can diagnose different skin conditions such as dry or oily areas, or excessive layers of dead skin, in which will show up under the violet light normally invisible to the naked eye. 1. After cleansing the skin, cover the client\\\'s eyes with cotton. 2. Secure cover shade to a wood lamp. 3. Completely cover client\\\'s face with cover shade. The wood lamp should be parallel to the client’s face with a distance of 15-20cm. Wood lamp can analyze skin problems and it is easy to use. Magnifying lamp most use in spa. 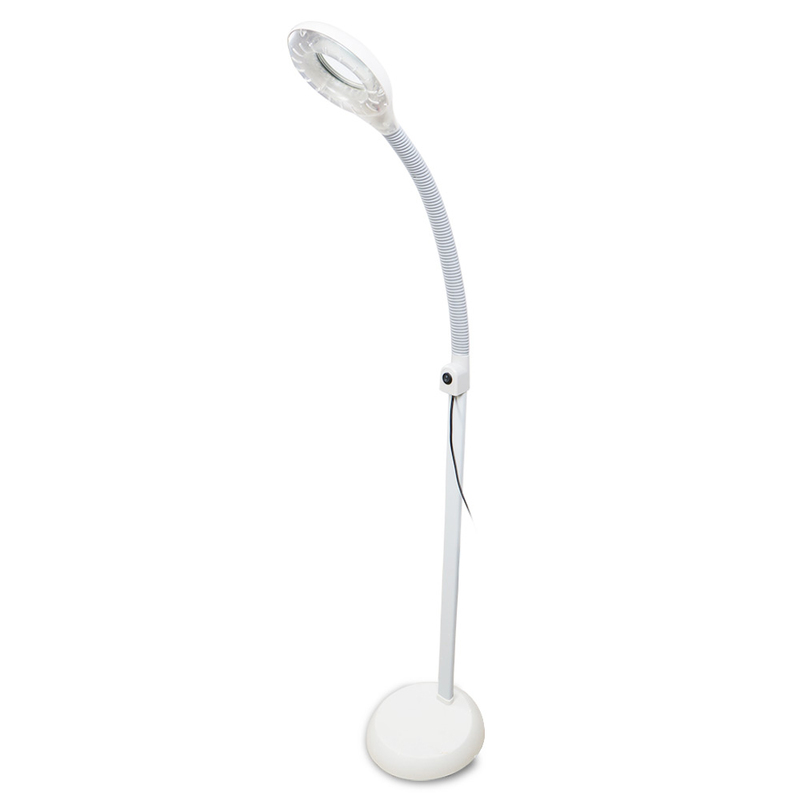 It has magnification function, equipped with cold lamp to maximize the perspective efficacy. It is a must for the beauticians to check the tiny wrinkles for the client in the beauty salon. It is a testing tool, do not have side effects and risks.